I went back to Memphis to work with the magnificent, Ari Denison, once again. Brilliant. I got a call a few months back from an old friend, Laurie Zabele Cawley, to see if I wanted to join her for a split bill show up in her neighborhood at Union College in Schenectady, NY. 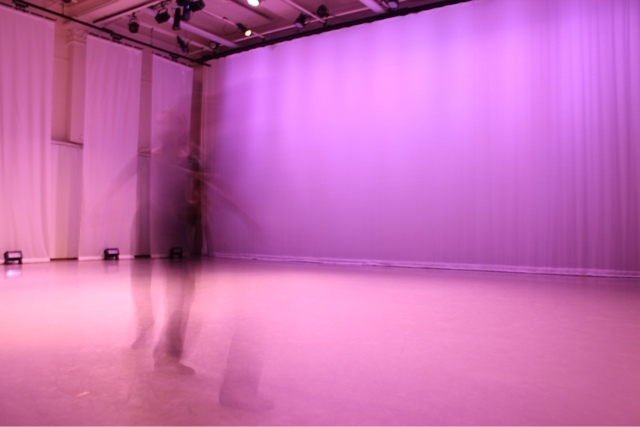 We'll be debuting a new work titled, 5+1, and restaging our duet, What Was, Never Existed. Amazing. I'm dancing with not one, but THREE different incredible women in unrelated projects, and I'm so pumped I might drop some cheer-leading moves soon. Sorry, Mom. 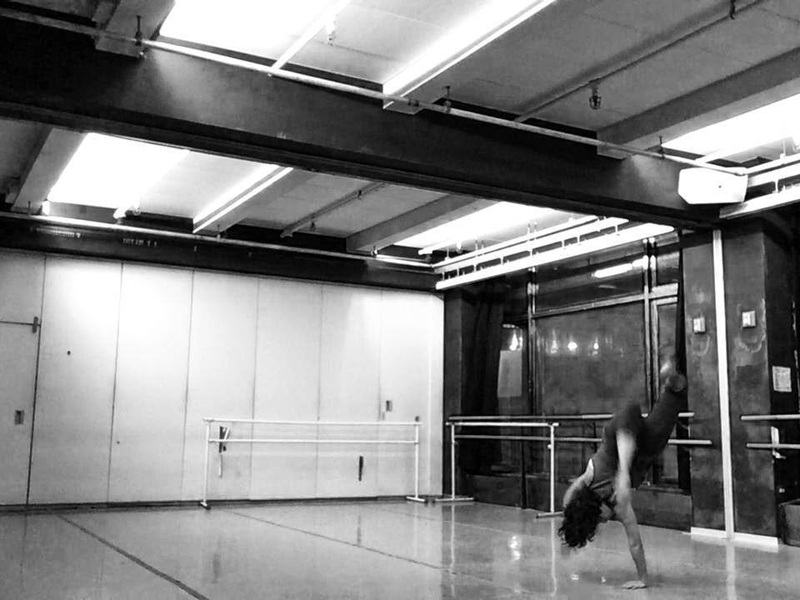 I'm teaching at the Gina Gibney Studios - 280 Broadway - as a part of the Access8 program in November. Tuesdays and Thursdays, November 11-20 from 2-4pm for only $8 a class. Sweet. And, I've been writing so much that I'm pretty sure I need to whip out the plans for a cabin in the middle of nowhere and begin building a place to sneak away for a week or so and write a book. Interesting. Potentially, I will also be performing in the Never Before, Never Again Festival at the new Triskelion location in Greenpoint, NY with some other East Coast TRANSFormers, but I'll be sure to spread more about that when I hear back from the panel. Nice. In the midst of all of this excitement and project building, I'm also launching an Indiegogo Fundraiser any day now! 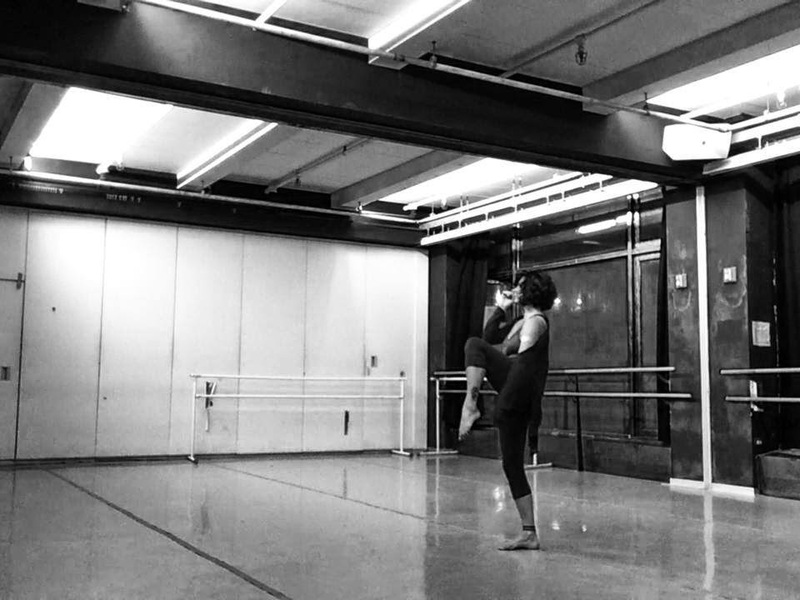 The funding is primarily for my dancers - they most certainly deserve more than the absurd amounts of candy I throw at them - and also for the travel upstate, rehearsal space, food, costumes, and other artist collaborations. I have a stellar composer joining me on this project, Kyle Sorensen, and I'm totally jazzed about debuting a new work with his new score. Bonus - any donations made to the Indiegogo Fundraiser are tax-deductible. How? Because I'm sponsored by Fractured Atlas and they rock. Stay tuned as I'll be shooting out an email soon with details about our fundraiser and upcoming concert at Union College. I'll also keep updating our Facebook and Twitter with pictures, videos and other shenanigans - because we rarely can keep from laughing for more than twenty minutes. Oh, dear. It's been quite some time since we've had an update for you all but here is a tiny one just so you know I'm still here and making the art happen. Lately, with less than acceptable time to bust a groove in the studio, my favorite place to take class and rehearse shutting its doors and the undertaking of a second job, I've focused my energies on a few other creative tasks. I've been writing ferociously. About anything. Everything. Life. Snow. Nail lacquer palettes. Made up fairytale love. Dark and twisted characters. I think I may be on to something with it, so it's going to remain a constant. It's exciting and a damn good way to get all of this creative energy out that is bouncing around inside my skin. I also recently ventured south to see a wonderful artist friend of mine, Ari. The magic that spans the air when we head out to make whatever it is we're making is simply splendid. It's unmatched. And it fuels us to full power, ready to do it again and again. We're currently trying to nail down another adventure. It needs to happen. Like, yesterday. I will say, this downtime from the studio has not been lost on me. And my evening length plans have not changed. If anything, I've been able to cultivate a more clear idea of how I want to proceed. And I've gotten a little pep in my step in regards to the video portion which I'm hoping to begin filming on my next trip to see my photo-mastermind. Between the writing and photo making and planning of film elements, I'm also looking to start working on another piece for a show in late February at the beloved Cahill Theater in the Bronx. For now I'm creating a duet to get me started but I see this next piece having three people ultimately. More on that as the details unfold. Exciting stuff happening, folks. Dance on. Write on. Get your art on. I wasn't quick enough to post an event share about our lucky twist of fate when we were asked to step in a perform at GAP's FIRST LOOK series this past Thursday, August 1st, but boy were we blown away at the incredible beauty and brilliance that graced the stage that night! 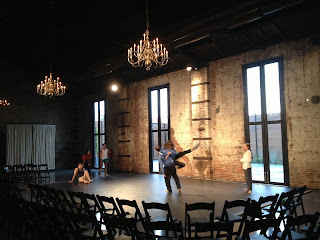 Curated by Sarah Brown, First Look that night was something I have rarely experienced in a mixed bill show. Every single piece was solid. Stunning. Intriguing. Satisfying. I was hungry for more. I will post pictures as soon as I get them - but I will say that the Green Building is going to be on my radar for a few reasons, and those chandeliers are only one of them. Yes, you got it. 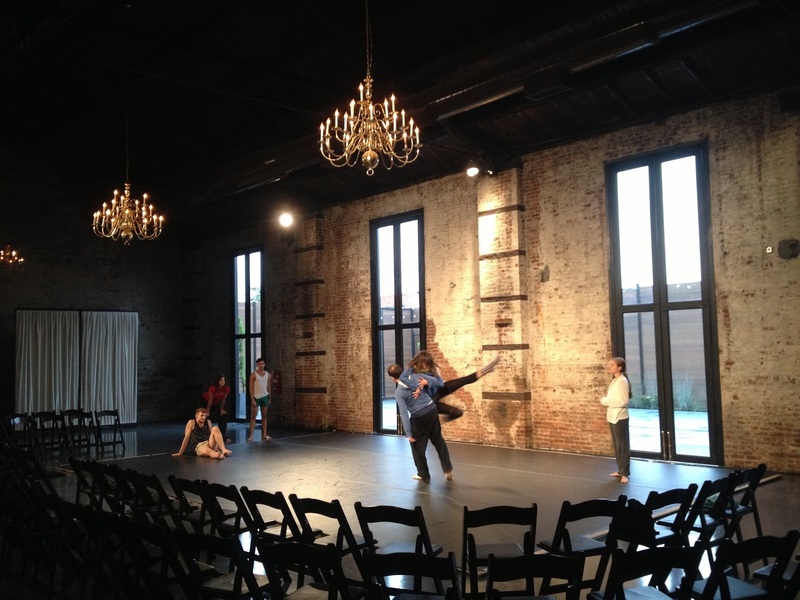 We're showing a work in process at Dance New Amsterdam's Work in Progress showing this Saturday at 2pm!! I haven't quite finished my work on Up Here and will be performing a solo with prompts based on remembering those silly things we used to do as children - dances we made up, tongue twisters we used the chant, the fruit of our long summer days. The greatest part of WIP is the audience feedback session at the end. I'm so fresh in this new take on this work that I'd love to hear what you have to say. So, come on down to DNA, bring a few dollars to donate, and see some really amazing works from some really stunning artists. 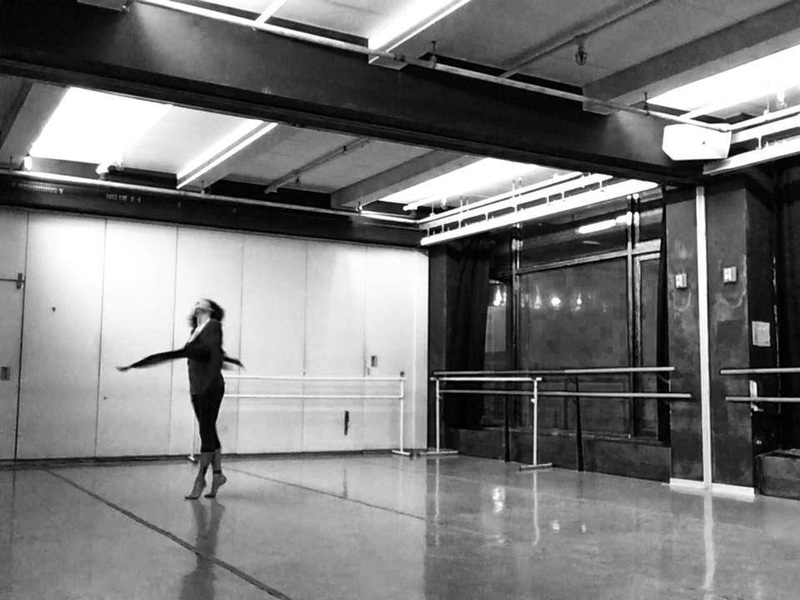 One of my favorite parts of making work is taking the footage from rehearsal, picking out my most loved moments and spinning them together for a sneak peek into what we're working on in the studio. Up Here (Parts I, II) is a piece very dear to my heart, as are each of the works are that belong to SPARC. Up Here is the "P" in SPARC. It's about remembering, searching, celebrating those moments you once shared. Finding yourself lost in your memories, basking in the light that once shined on your heart. Feeling that space that was filled as if it were never emptied. Sensing that presence and making a connection - no matter how brief or subtle. Enjoying what was, and moving forward forever changed. I am eternally grateful for those who have shared their stories with me and have trusted my vision to express their tales. Here is a short look into what Erin and I have been brewing. 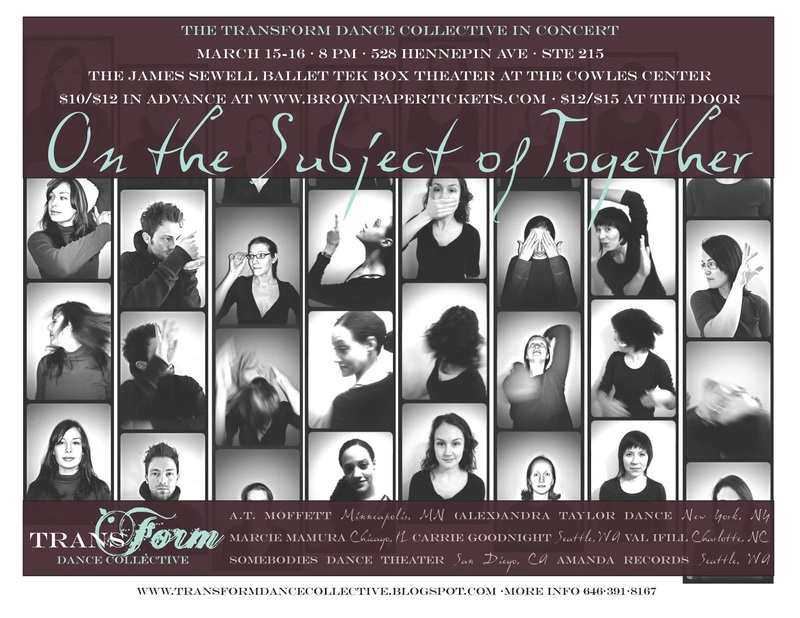 Up Here (Parts I, II) will premiere March 15-16th, at the JSB TEK BOX as a part of TRANSForm Dance Collective's 3rd Annual Concert and Teaching series. An original score is being developed by Sam L. Richards (the track I layered in the video clip is not what we're using). Check out more info about TRANSForm, our tax-deductible Indiegogo Campaign and where to buy tickets. Moving with you is a gift. It's that time of year again when the good old girls and boy from Oregon, who've since spread out around the country, get together and put on one heck of a show with an accompanying teaching residency to boot! Don't know what I'm talking about? Go read about us here. For the first time in our three years of concert producing and teaching, all 8 of the TRANSForm Dance Collective members will be taking over the Twin Cities and the James Sewell Ballet TEK BOX Theater at the Cowles Center. We'll have two nights in the theater with daytime classes from 10-4pm. This year I'm bringing the latest addition to SPARC titled, Up Here (Parts I, II). It's a duet with the lovely Erin Cairns Cella and myself. Taking a different approach to our over arching subject of loss, in this piece we're remembering and even celebrating our loved ones through sensing, shadowing and somehow finding each other while in two different places. It's an interesting piece to perform, as I find myself really not "seeing" Erin in the space, but truly yearning for a memory we shared and trying to recreate it over and over again. How fitting with our TRANSForm concert title, On the Subject of Together. Speaking of, I'm the ring leader of the fundraising efforts for this year's concert. Thanks to the exquisite members of the collective (and you for spreading the word ::wink:: ::shoulder nudge::), we've made this video for your viewing pleasure and if you feel moved, consider donating anything you are comfortable with. If that's not in the cards this time around, you can share our link via email, facebook, twitter or telling your friends when you are having brunch or late night drinks. Alright kids, get your dance on. It's 10:39 on a Sunday. Over and out. My friends, it's been a while but we've been busy, busy bees scheduling rehearsals and taking off on a blunder of choreographic inspiration and re-staging an old but beloved work of mine. 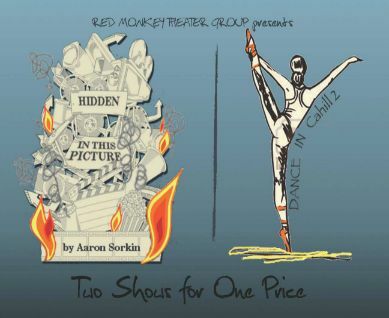 I'll be in the Bronx at the College of Mount Saint Vincent for Red Monkey Theater Group's second dance concert, HIDDEN IN THIS PICTURE/ DANCE IN CAHILL 2 on Saturday, March 9th at 8pm and Saturday, March 10th at 2pm. Please come join us at the Cahill Theater to see Erin Cairns Cella, Sarah Lehman, and Joanna Nobbe dolled up in their corsets, winding up a storm from their chairs and they perform After Hours in the Parlour Room, with an original score by musical extraordinaire Sam L. Richards. Other performances by Danielle Aviezer, Jessica Burns and Dina-Verley Christophe. The night will start off with "Hidden in This Picture," a one-act comedy by Aaron Sorkin (A Few Good Men, West Wing, The Social Network, The Newsroom). Buy tickets here. A special preview performance of "Hidden In This Picture" on Friday, March 8th at 8pm will benefit the College of Mount Saint Vincent's student theater club. So, come check us out and see what's going on in our community of dance, theater and new friends. And keep a close eye on us... we're going to Minneapolis next! More info in my next post. 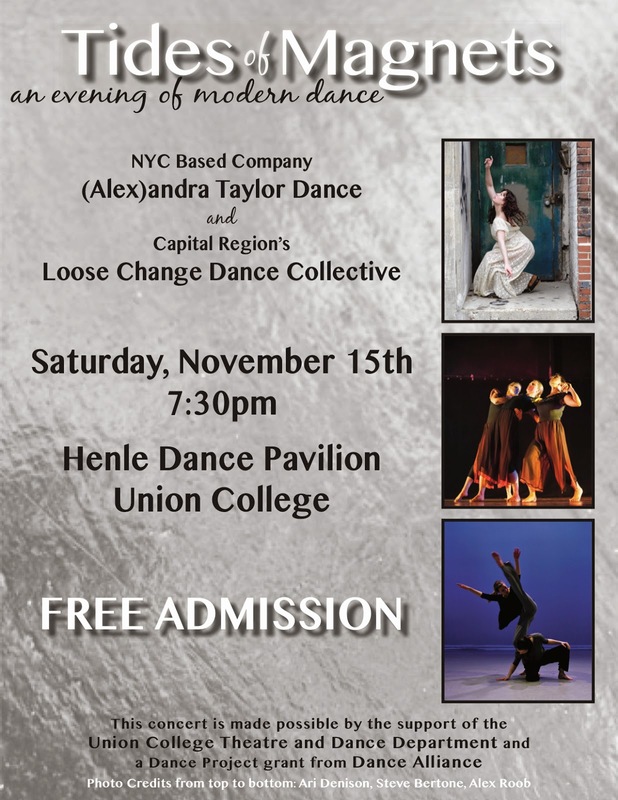 (Alex)andra Taylor Dance is a sponsored project of Fractured Atlas, a non‐profit arts service organization. Contributions for the charitable purposes of (Alex)andra Taylor Dance must be made payable to “Fractured Atlas” only and are tax‐deductible to the extent permitted by law. Don't forget to check out our News & Events section to see where we're going and where we've been! Subscribe to our mailing list and get updates on upcoming performances, classes and more. Copyright © 2012 (Alex)andra Taylor Dance. Awesome Inc. theme. Powered by Blogger.